Globally, a woman dies in childbirth every 90 seconds.1,2 Ninety-nine percent of these deaths occur in developing countries.3; Saving Mothers is dedicated to changing these statistics. Created to address the global need for access to basic reproductive healthcare, Saving Mothers was founded by medical professionals with the goal of “eradicating preventable maternal deaths and birth-related complications in developing countries.” 4 As approximately 90% of women in developing countries give birth outside of hospitals, 5 Saving Mothers distributes important yet easy-to-use home-birthing resources, such as Safe Birth Kits and Post-Partum Hemorrhage Kits. In addition to providing pregnant women and birth attendants with essential supplies, the nonprofit also offers medical training to healthcare providers and caregivers in developing countries. 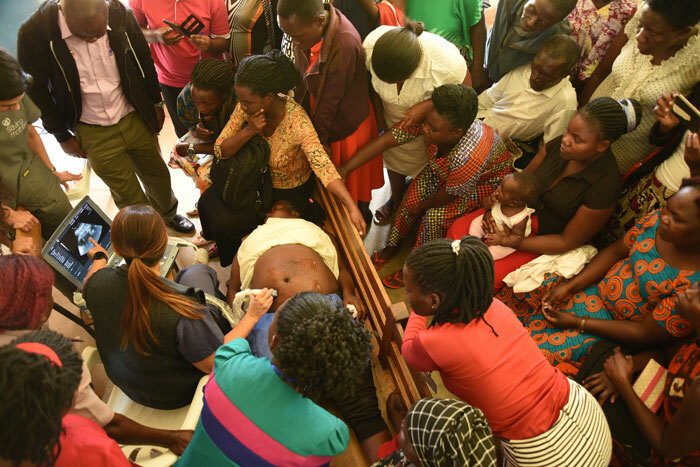 In June 2018, Saving Mothers utilized SonoSim® Ultrasound Training Solution to help train healthcare staff at Kamuli Referral Hospital in rural Buyende, Uganda. The computer-based platform provides didactic instruction, knowledge assessment questions, and hands-on scanning cases from a library of normal and pathologic sonographic conditions. 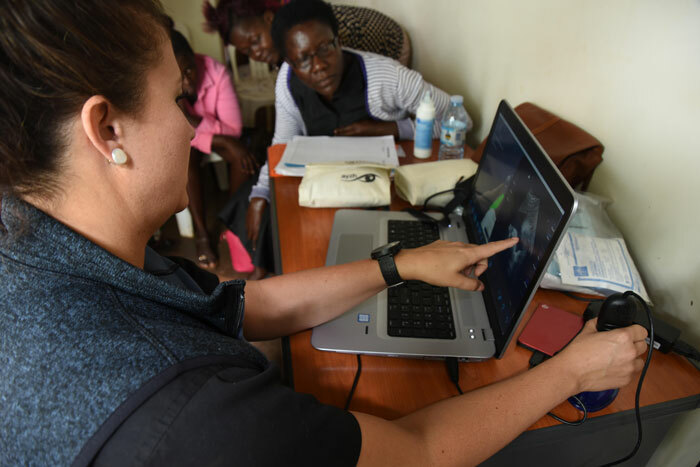 “Rural Uganda has persistently high levels of maternal mortality, a vast majority of which are attributable to preventable causes that can be identified early on with an ultrasound,” states Saving Mothers Summer Fellow Marga Kempner. Over the course of two days, Dr. Taraneh Shirazian and Dr. Noel Strong of the Saving Mothers medical team trained 20 nurses in acquiring and interpreting ultrasound scans. They used a “blended learning” approach complementing SonoSim with a few live scans on a portable ultrasound to demonstrate basic technique and interpretation. The doctors also trained the nurses in identifying pregnancy risk factors and managing complications through the use of evidence-based protocol. 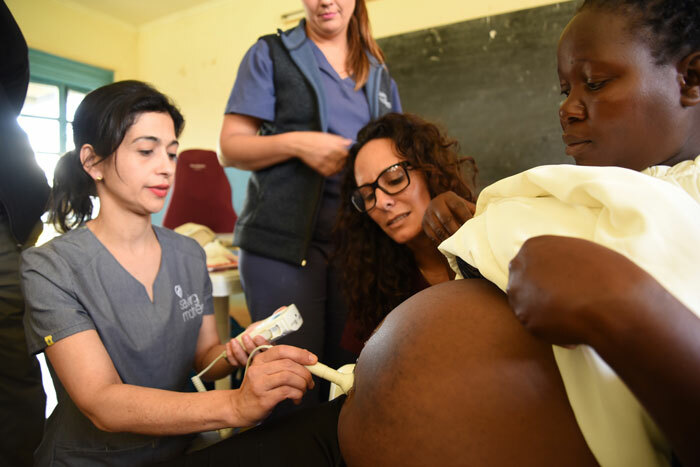 “Skilled ultrasound technicians are an essential part of any maternal health strategy and Saving Mothers is excited to partner with SonoSim to bring life-saving skills to areas where the need is the highest,” states Kempner. Saving Mothers plans to collaborate with SonoSim at their Kenya clinic as well, where a few of the nurses from the Kamuli Referral Hospital will further develop their ultrasound training and will use this training to continue serving their communities.